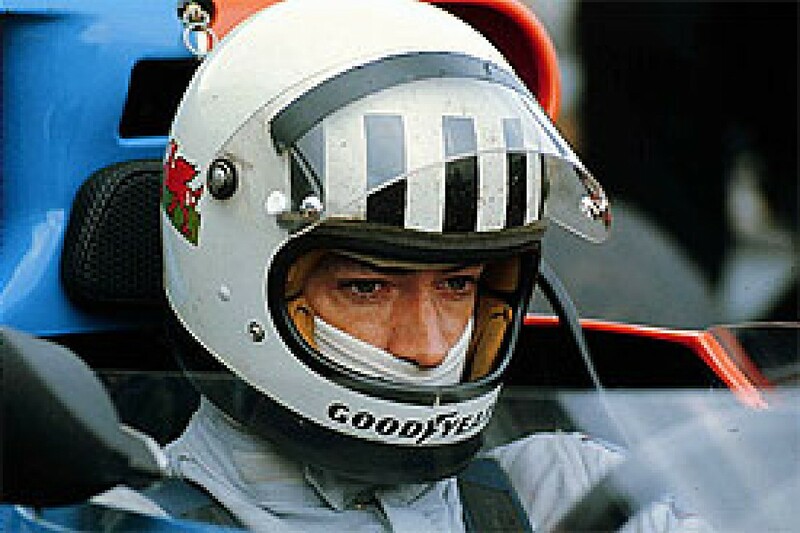 Tom Pryce was a Welsh country boy with an amazing talent. Marcus Simmons tells the story. Jansen van Vuuren is loving this. Usually he works as a booking clerk at Jan Smuts Airport, but this week the 19-year-old from Johannesburg has taken up station at the nearby Kyalami circuit for the 1977 South African Grand Prix as a fire marshal on the pit straight. Suddenly, at the end of lap 21, he has a job to do. Backmarker Renzo Zorzi parks opposite the pits with mechanical failure, a small fire licking around the rear of his Shadow DN8. Van Vuuren, who is carrying a 40lb fire extinguisher, and a fellow marshal run across the track. Tom Pryce is loving this. At the age of 27, he's now in his third full season as a Formula One driver with Shadow, his dream job with a team that cherishes him. 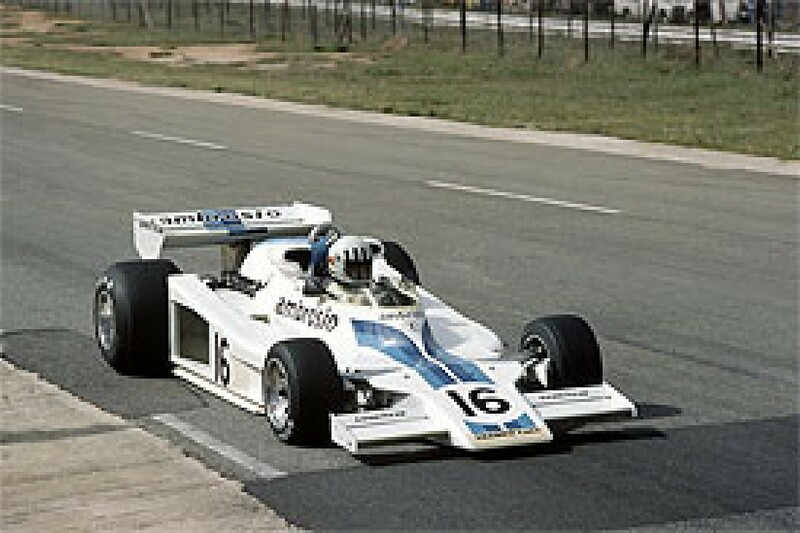 Already in '77 there have been flashes of promise: Tom ran second in the previous race in Brazil before an engine failure; then, on the wet first day of qualifying in South Africa, he uses his exquisite car control to set the overnight pole position, 0.81sec clear of Niki Lauda's Ferrari. In the subsequent dry conditions he falls to 15th on the grid, and to compound this he loses time on the first lap and drops nearly to the back of the field. So he gets stuck in. As a contrast to Zorzi's, his DN8 is running well: Pryce sets what will stand as the fifth fastest lap of the race and, 20 laps in, catches and joins the battle for 11th. He works his way past Gunnar Nilsson's Lotus and Jacques Laffite's Ligier. Then, at the end of his 22nd lap, he enters the long pit straight tucked right into the slipstream of Hans Stuck's March. Up the crest they come, over the brow. But what's this? Why is Stuck swerving? Oh my God. "It was the most bizarre funeral," says Brian Jones. Better known as a Brands Hatch commentator, Jones played a major part in getting Pryce's career started, as general manager of the Motor Racing Stables school. "Tom had settled in Kent and he was buried in Otford," continues Jones. "The church was packed to capacity: the great and the good of F1, people from his early days based at Brands; and on the other side the people from the Baptist churches of North Wales, where he came from. We had a vicar from the Church of England and then a Welsh firebrand giving us hellfire and damnation from the pulpit. He was ranting and raving in Welsh, none of which we could understand ­ but we got the message!" Pryce's death had touched everyone in the sport. Poor van Vuuren never realised that the gaggle of four cars was about to explode over the crest of the hill. His friend made it across the track, but van Vuuren was struck by Pryce. Both young men were killed instantly. With his foot still hard on the throttle, Tom rattled down to the first corner, where he smashed into Laffite. Meanwhile, at the pits, no-one guessed that the dead marshal's extinguisher could have hit Pryce full in the face at 170mph. Tony Southgate, who had designed all of Pryce's Shadows, saw it all. "It was so bizarre you just think his card must have been marked," he says. "The extinguisher ripped his helmet off and sheared the rollover bar clean off. The rollbar got embedded in the sidepod radiator of Lauda's Ferrari [Lauda rolled off the pace as his water temperature rose, but still won the race]." The tragedy was not quite seven years since tractor mechanic Thomas Maldwyn Pryce (known as Mal to his friends in Ruthin, where he grew up as the son of the local policeman), had won a Lola T200 Formula Ford car. This was his prize for his success in the Motor Racing Stables-run Daily Express Crusader Championship, the final round of which was held on the qualifying day (Saturday) for the International Trophy F1 race at Silverstone in April 1970. Going into this decider, Tom was one of five who were almost level on points. "The cars were very tired Lotus 51s," remembers Jones. "They were held together by willpower as much as anything else." Pryce ran second early on, but then it rained and he took the lead to win the race and the title. "Tom came down from Wales to Brands to work with MRS," remembers Jones. "We kept his car there and helped him maintain it. Geoff Clarke, who had founded MRS, wanted Tom under contract because we really did regard him as very special. Tom wasn't quite sure. Although he signed the contract he withdrew from it, and thank God he did! He realised that nothing was negotiated at Brands without a glass in the hands"
Pryce crashed the Lola in his first ever 'public-race' qualifying session, but got it rebuilt and was winning minor FFord races by the end of the year. He then got hooked up with Royale in 1971. Aboard the RP4 of TAS Racing, he won the Formula F100 title for 1300cc sports-racing cars. He also drove works Royales in Formula Super Vee and then, by the end of the year, Formula Three. But it was in the F3 race at the Race of Champions meeting in March 1972 where Pryce really came to prominence. He dominated this Brands race, taking the RP11 to a 15-second victory. Bob King, the boss of Royale at the time, recalls: "We had a borrowed engine, a 'cooking' Vegantune which we'd got for that race. They stripped the car down afterwards. They thought we had a bent engine, they thought we were underweight. But they pulled it apart and found it all legal and that Tom was just someone who was extremely quick." Pryce, though, was still rough around the edges. "It took him a long time to learn that if you tuck your nose in right behind someone you're going to come off in the turbulence," says King. "He just drove the car. He had no idea when he started how to set a car up and we had to teach him about gear ratios and hone him. But I was very fond of him ­ he was like a little brother." The first major accident of Pryce's career was not his fault, though. In qualifying for the '72 Monaco F3 race, his Royale coasted to a halt before Casino Square. He was trying to fix the car when Peter Lamplough came round the corner, locked up and bowled Tom into a shop front, breaking his leg. He returned by the end of the year, but by now Royale was focusing on Formula Atlantic. That paid dividends early in '73, when Pryce won three early-season races. Then came the move to Formula Two. At mid-season, with backing from racer and property developer Chris Meek, Pryce got a seat in Ron Dennis's Rondel Motul team. His best day came at the Norisring, where he took second behind team-mate Tim Schenken. The Welshman had been leading, but a brake problem dropped him behind the Australian. 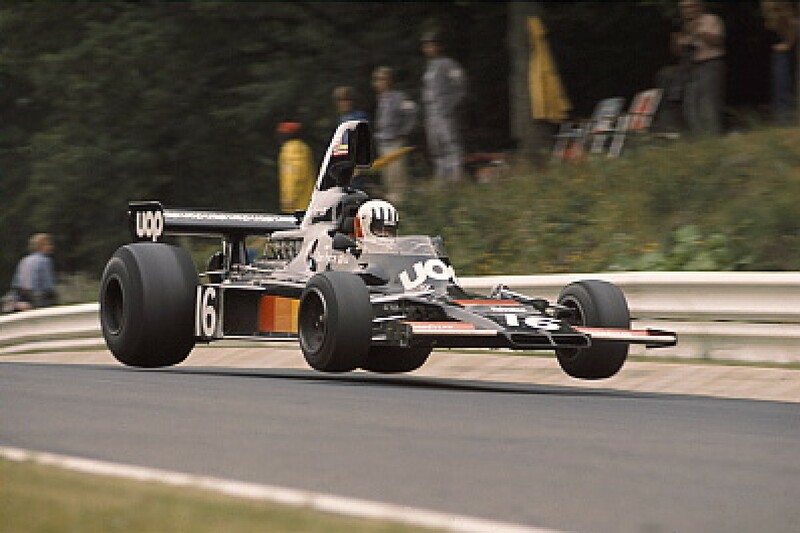 Rondel had planned an F1 effort for '74, but Motul took its sponsorship to BRM when the car was half-completed. Designer Ray Jessop then called up Pryce and asked him to sound out Meek about backing the team. Eventually Jessop himself tracked down Meek and he, plus Rondel backers Tony Vlassopulo and Ken Grob, revived the project as Token (Tony/Ken ­ geddit?). The car just made it to the International Trophy, where Pryce managed four laps in qualifying. In the race he did a sound job on his F1 debut, but went out with gear-linkage failure. Pryce and Token made their grand prix debut together in the Belgian GP at Nivelles, but they didn't get an entry for Monaco, so Vlassopulo dusted off his Ippokampos Racing F3 March for Pryce to drive in the support race. It was a stunning performance. Tom was fastest in qualifying by 1.6sec, won his heat by 15sec from Tony Brise and dominated the final to beat Brise by 21sec. "What impressed me was that he wasn't in F3, but then went down to Monaco and won the race, which is difficult if you're not a member of a particular formula," says Shadow team manager Alan Rees. A fellow Welshman, Rees convinced Shadow owner Don Nichols that Pryce was the man to fill the team's second seat (alongside Jean-Pierre Jarier), which had been occupied by Brian Redman since Peter Revson's death in a testing accident at Kyalami early that year. Shadow had competition for the new star's services. After Monaco, Pryce went to Goodwood to test the Token. Hesketh team manager 'Bubbles' Horsley turned up in a helicopter and whisked Tom off to a meeting with Lord Hesketh. After that Pryce went to the Salzburgring to make his first F2 appearance of the year in a Team Harper Chevron. According to journalist Alan Henry, Pryce received a letter while in Austria from Rees, hand-delivered by one of Henry's Motoring News colleagues. Rees says: "That might be true but I don't recall it. I think we had no problem signing him up." That is probably correct for two reasons: Tom would have hated the public-schoolboy high jinks of Hesketh; and Hesketh was only offering him a handful of races. So from the Dutch GP in June 1974 to his death in March '77, Pryce was an increasingly revered member of the Shadow F1 team. Second time out, in qualifying for the French GP at Dijon, he took third on the grid and the comparisons with Ronnie Peterson began. "He had unbelievable natural ability," says Trevor Foster, then a mechanic with Shadow. "At Dijon people were coming up and taking his picture, but he'd just be sitting in the back of the garage, not understanding why people wanted to know so much about him. He had a calm demeanour but was a real lionheart and very aggressive on the track." That was never better illustrated than in the 1975 German Grand Prix, where Pryce finished fourth while sitting in a bath of petrol. A loose filler cap meant fuel was leaking into the cockpit, getting in his eyes and mouth. He was lying second, but had to undo his belts to lift himself up whenever he could. So on each of the Nurburgring's crests he had to back off where others went flying over flat-out. He finished fourth. "His skin was totally burnt and blistered," says Foster. "He was in serious trouble ­ no doubt about it. But that was him ­ he just wouldn't let anybody down." Earlier that year had come Pryce's real highlight, where on his adopted home ground he won the Race of Champions at Brands. Four months later, at the British Grand Prix, he qualified his Shadow on pole, only to crash out of the race. "The crash was his lack of experience," says Southgate. "What the hell, you're leading, you come across a wet patch after rain. We accepted that ­ it was his apprenticeship." In between those British highlights, he'd planted the Shadow on the front row at Monaco. "He didn't know what to do!" laughs Southgate. "It was like being with a 16-year-old. It had been raining before the start and Jarier told him, 'Don't spin your wheels ­ start in second gear.' Of course Jarier was just having him on and Tom got left behind. But then Jarier switched his brain off and bounced off the barriers." Pryce also crashed out later in the race. But for Tom, the Shadow boys forgave all these lapses. "He was one of the boys," says Foster. "He wanted to eat with us, be with us. There was a lot of talk of him joining Lotus, but he said, 'What do I want to do that for? I'm happy here.' Maybe he wasn't mercenary enough. "His car control was unbelievable at the Race of Champions in '75, and as time went on he would have been at that level everywhere. He could have been World Champion." Southgate concurs: "He had the natural speed to be World Champion in a Lotus or a McLaren." Rees isn't so sure: "Before they changed Silverstone he was taking Woodcote flat. No matter what shape the car was in he could handle it. He would drive on the limit and when the problem arose he would sort it out because he had the ability to do it. And at that point it became spectacular, because of that ability. But whether he could have got to the top it was hard to say ­ he was like Peterson in that respect." Pryce himself would have loved those remarks. "Ronnie's the best driver in the world," he said in 1975 when there was talk of them becoming team-mates for '76. "Just think, if I could lap within a few tenths of him in the same cars"
Like Peterson, he would not be around for long. Kyalami was a tragedy for his family, friends and admirers, but at least this loyal and decent man was at peace with himself. He loved his life with his wife Nella in rural Kent, and wanted nothing more than to drive racing cars. He had also grown in stature out of the car. He was a native Welsh speaker who, the stories say, did not learn English until he was seven. "When I first met him 'Good morning' was a whole conversation," chuckles Jones. "But later he developed a lovely personality and became quite an effective speaker. "I'll always remember the day he died. We'd finished the school at Brands and were sitting in the clubhouse bar when we heard of his death. Such a cruel twist of fate." But what a mercy, for both Tom Pryce and Jansen van Vuuren, that they can scarcely have known a thing, were just doing what they loved when fate snatched them away before either of them understood what was really happening. Autocar cruelly headlined it "The most predictable accident of the year". It was late December 1975 and Tom Pryce was contesting his first rally, the Tour of Epynt, in a Lancia Stratos. The shunt happened just 10 miles into the first stage. Pryce clipped a wall, and only a small boulder stopped the Stratos plunging into a river. His co-driver went to hospital to have stitches in a gashed knee. Nearly 30 years on that co-driver, current Prodrive emperor David Richards, laughs: "It was the only time in my life I've ended up in hospital out of a motorsport incident. I've still got the scars to prove it!" 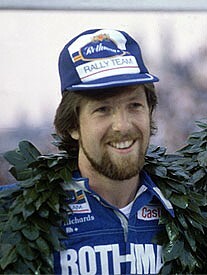 Richards grew up in Pryce's home town of Ruthin: "He was interested in a drive and I managed to borrow a Stratos from Graham Warner at Chequered Flag. "He set about it very professionally but you know, all racing drivers tackle rallying as if at each corner you've got to be at 100 per cent, whereas of course in rallying you need to leave a bit of a margin. I wish I'd known then what I know now..."
With a stitched-up Richards and a patched-up Lancia, they tackled one more stage to keep the fans happy. "No-one can imagine what an important person Tom was for motorsport in Wales," says Richards. "He was like a hero to us all. Doing another stage to show everyone we were there was typical of him. The racing driver of today would have just got in his car and gone straight home." So did speedfreak Richards manage to get through his youth in Ruthin without being nicked for speeding by Jack Pryce, Tom's policeman father? "Yes, but he got my younger brother on his 16th birthday, on his first day on a motorbike. He got a good dressing down from Jack!"